Last year about this time when I was in my full locavore challenge mode, I had gone out to dinner at Restaurant 4580 in Boulder. 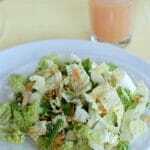 It had been a few months since I’d seen greens and had been craving a salad for weeks. I was diligent about only eating what was available locally and seasonally other than my personal stores from the harvest. I justified for myself that since I was out to eat I’d order a salad and I would not be ‘cheating’ on my locavore commitment (please no emails from helpful therapists on my mental process). Knowing that Restaurant 4580 works with local farms I struck up a conversation with our waiter about where they source their produce in the winter months. He said he thought they got them still from the same main farm but he’d ask the chef. 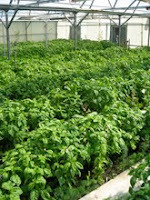 When he returned he confirmed my ultimate hope; Jay Hill Farm in Boulder greenhouse grows over the winter! My pulse began to race like a mad woman. I grabbed one of their cards, made it through the rest of our dinner with some modicum of composure then beelined to my computer once home to check their website. Indeed it was true. 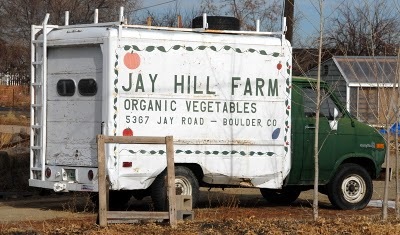 Jay Hill Farm sells freshly grown produce in the winter in Colorado! 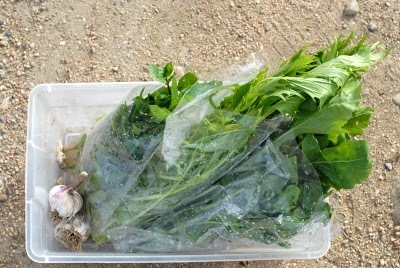 My after Christmas pick up of freshly picked arugula, mizuna, mint and garlic. Just ‘what the doctor ordered’ after weeks of sweets and huge meals! Jay Hill Farm has a long history in Boulder County. They were one of the first certified organic farms in Boulder County. They were one of the first farmers at the original Farmer’s Market (this year they decided to rely on their farm stand and no longer participate in the Farmer’s Market). They supply local restaurants, have a farm stand in the warm weather and an easy online ordering system (which I’ll address in a minute). 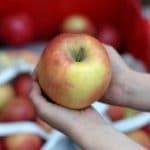 They are a family farm having been started and run initially by Chuck Rozanski and Nanette Furman, and now by one of their four talented daughters, Rowan Rozanski (LOVE a girl farmer). The farm is comprised of 32 acres although the family only farms 3 acres currently. Jay Hill Farm produces year round with the greenhouse and offers delicious vegetables as well as fruit from their numerous trees (fruit is summer and fall only). I personally can attest to buying Japanese plums daily this summer when they were on a per customer limit. Could not get enough. You’ll note their extensive collection of winter squash in the fall all staged on lined up hay bales along Jay Hill Road. Currently they have things like: arugula, kale, Egyptian bunching onions, mizuna, chard, salad mix, turnips, spinach, a variety of herbs and winter squash. Do check out their annual list of what they offer (click here); it is extensive! The other thing I was excited about is that they offer free-range chicken eggs (something that took research to locate after the Farmer’s Market had closed for the season). Ordering: Here’s how it works. Access their webpage detailing what is available to purchase. It is updated daily. Once you have selected what you’d like to purchase, email the farm via the address posted on the page and tell them what you’d like and the quantity. You will receive a confirming email most likely from Rowan herself. 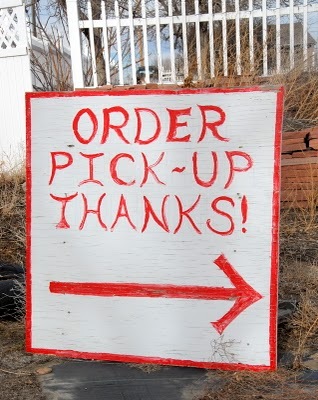 Your items will be available for pick up the next day after 11 a.m., or noon on Sundays. Simple and convenient! 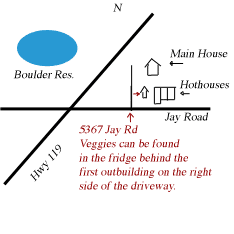 There are directions on the website but when you arrive at the farm, there is a fridge outside to the west of the greenhouse (highly visible with signage). You will find your produce in a clear shoe box labeled with your name and the amount you owe. You leave a check or cash there and you are done! I love the flexibility of the timing and honestly have never been happier to see rainbow chard in my life as last winter. 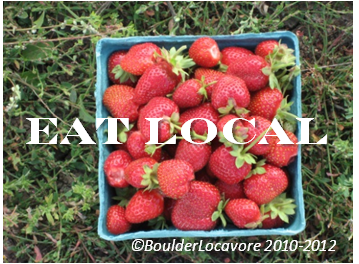 It seemed a gem of a find to locate a source for fresh organic produce during the winter in Colorado. A true treasure! You’ll find Rowan to be fun and responsive. A spirited acquaintance to have and a feather in your ‘Know Your Farmer’ cap! 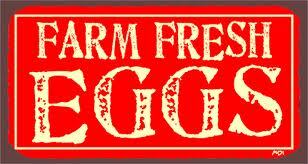 I realize not all readers are local and therefore cannot take part in shopping fresh with Jay Hill Farm. 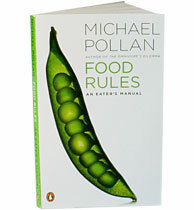 I wanted to share a second prized resource, in the form of Michael Pollan’s ‘Food Rules’. It is a pocket guide of easily ‘digestible ideas’ about eating well in the principles of his books the Ominivore’s Dilemma and In Defense of Food. I have found it indispensible and sort of ‘Twitter’esque’ in its quick dispensing of tidbits. I have two new copies I’d love to give away to interested readers! If you would like one, please leave a comment and just let me know, no questions to answer or hoops to jump through. If you’d like a chance at additional entries, you may 1) follow me on Twitter (@BoulderLocavore), 2) follow me in Google Reader, 2) follow me on my blog Facebook page. Please note in your comment which of these you do and I’ll add extra entries for you for each for a total possible of 4 entries per person. If you are already doing these things, please note which for the extra entries! I will select a winner via Random.org Monday 10th at midnight. Please ensure I can reach you by email to get your mailing info should you win! 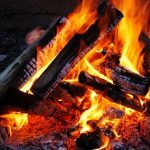 The moral of the story for me is ‘don’t give up’ striving to eat local in the winter OR making the best food choices you can (with the help of Michael Pollan). With perseverance you never know what you might find available in your area! I will post the 2 winners of the ‘Food Rules’ Giveaway in the top right corner of my blog on Tuesday January 11! 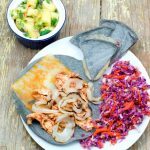 Wow, thanks for such wonderful insight into local finds and fun food. I am now a follower on Google reader and facebook too!